This statistic shows the share of new installed solar PV capacity worldwide in 2017, by country. 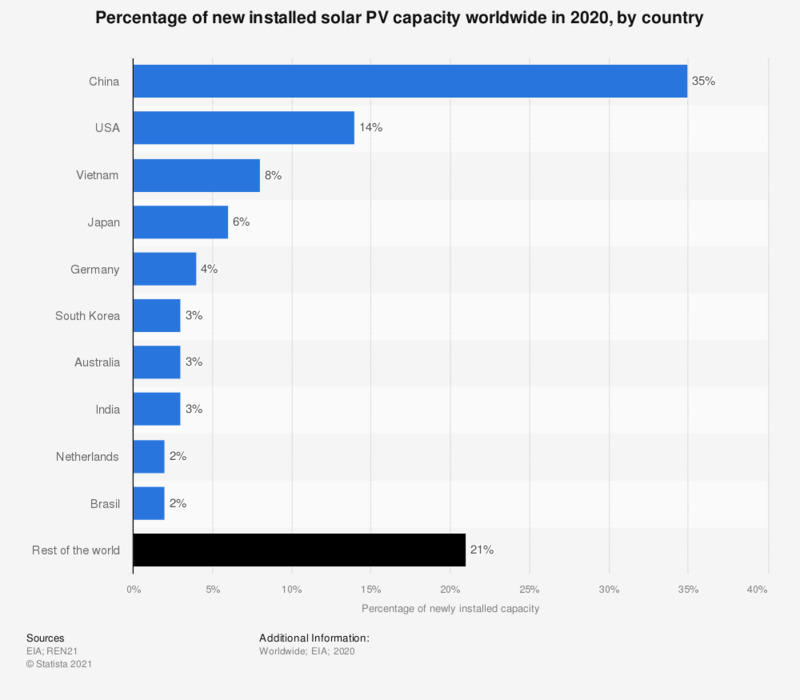 In 2017, new solar PV capacity installations in China accounted for around 60.07 percent of the world's total new installed grid-connected PV capacity. Percentage values are Statista calculations, based on new capacity installations of 88.4 gigawatts.